Valpak direct mail marketing engages consumers on a personal level, and enables you to target your audience specifically. Talk to us about direct mail products that deliver the most value for your advertising dollar. While direct mail marketing is the heart what we do, it’s not your only option. 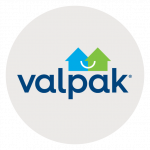 Valpak also provides digital packages on valpak.com, website development and search engine marketing (SEM) campaigns to increase your online presence and drive sales. Direct mail marketing remains an effective way to advertise because, while people may tune out the constant barrage of radio and TV spots, they go to their mailbox daily. Partner with the leader in local direct marketing: Valpak. Our direct mail and digital products help you target households nearest to your business or service area. Here at Valpak, we operate as a full-service marketing agency. Call today and learn how Valpak helps small businesses open the door to greater return on investment – effectively and affordably. TY MCCLELLAN, OWNER, HARDWARE SALES, INC.